Why must this be the fate of me? 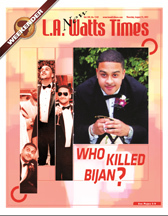 We know who killed Trayvon Martin, but who killed Bijan! More than 600 mourners crammed into the 400-seat capacity Westminster Presbyterian Church on Wednesday Aug. 14th to celebrate the well-lived life of Bijan Michael Shoushtari. 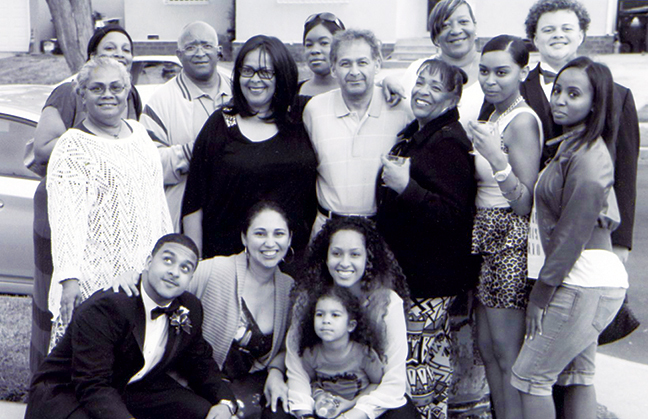 A doting uncle, Pastor Mark S. Jones Sr., fondly remembered Bijan, the former Hamilton High School football captain and acrylate at Westminster Presbyterian Church along with family and friends. Eulogized as a spiritual person, Pastor Jones Sr. recalled when Bijan started singing in the youth choir at the tender age of three. He was a lovable prankster with his two older sisters and loved to be around people both young and old. The comments brought a shy chuckle that briefly lifted the heavy pain all endured at the loss of the 18-year-old who managed to navigate the ills that had engulfed most young African Americans. Bijan was a product of a close knit unit, headed by a comforting father Mano Shoushtari, a cuddling mother Marsha Jones-Shoushtari and two adorable older sisters, Samantha and Ea which completed the portrait of this model family. It is fractured now, but the ever-glowing spirit of Bijan brought out scores of teens including the coaches and many players wearing their Kelly green Hamilton Yankee football jerseys. As Pastor Jones. Sr. alluded to, Bijan also brought out many people that few knew he touched in a life lived so short. In attendance were middle school teachers, high school teachers and teens who didn’t even attend high school with him. The volume of their presence supported and comforted the Shoushtari family and spelled out loud and clear what a wonderful person Bijan was. Both Pastor Jones Sr. and The Rev. Dr. Charles Marks denounced any notion that it was God who called for Bijan to die so soon. “We worship a loving God who does not take his children for any cause other than illness or natural death,” The Rev. Dr. Marks said. A magnificent solo performance of Kirk Franklin’s “Smile” by Donald Perry brought tears from Bijan’s mother Marsha and two sisters Samantha and Ea, sitting front row wearing white. Another song titled “For Good” sang by Bradley Baker was equally emotional. A family friend Lauren Jackson called “Bijan her baby.” She remembered taking him on his first date to the movies at 14. Her daughter and son share close friendships with the Shoushtari family, they too were torn by the tremendous loss. Hamilton coach Calvin Moore encouraged mourners to “smile” because that’s what Bijan would have wanted. Another coach from the football team Earnest King promised the family he would be in their time of peril. Both sisters, Samantha and Ea struggled immensely to make it through the memorial tribute. Their father normally consoled Mano consistently wiped away tears while staring at pictures and flowers representing a scene he never prepared for. The service was held without Bijan’s remains pending law enforcements ongoing investigation. 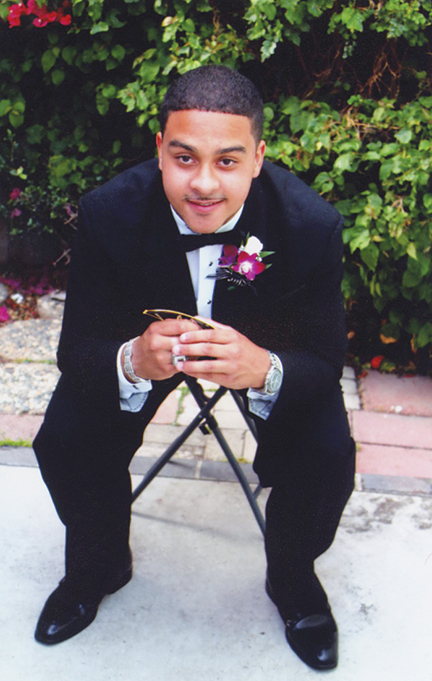 Bijan was shot Saturday, Aug. 3, in the 4400 block of Crenshaw Blvd. He and two other people were traveling north on Crenshaw Boulevard in a 1973 white Buick Electra shortly after midnight when a light-colored, midsize vehicle drove along the passenger side and a gunman shot at the Buick, according LAPD Det. Supervisor Sal LaBarbera. Bijan was sitting on the passenger side of the classic Buick and was struck several times, LaBarbera said. The two other people in the car were not injured. 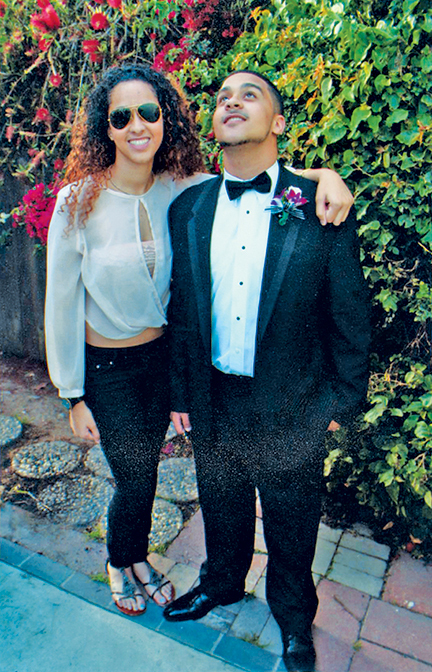 Bijan fought for his precious life for two infinite days, countless relatives and friends converged at Cedar Sinai Hospital. The prayers increased, their hope for a positive outcome never wavered. 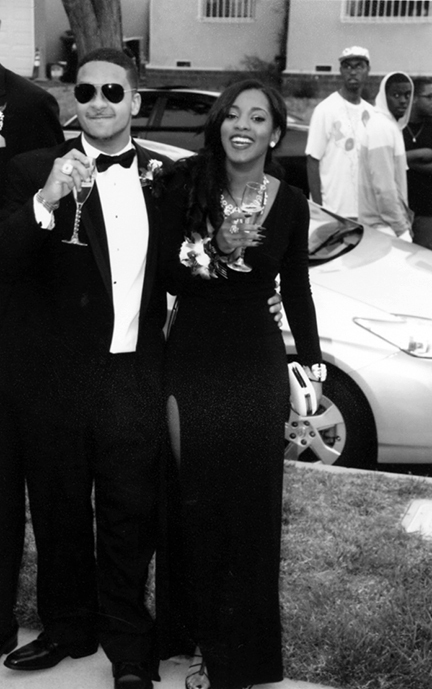 Bijan did not give up, but he succumbed on Monday, Aug. 5, at 5:37 p.m., according to coroner's spokesman Ed Winter. The homicide count in Los Angeles County to date is 349. Since 2007 to 2013 there have been 3,622 homicides by gunshots, according to statistics chronicled by the Los Angeles Times. An estimated 1,574 Blacks have been victims of homicides since 2007, but the 18-year olds have been the victims of homicides more than any other age category. The report reveals that an astonishing 240 individuals in the 18-year old category have died since 2007. Seventeen-year-old victims tally at 174 during that time span. Alarmingly, more homicides occurred on Sunday during that time period at 927 than any other day. Next was Saturday at 864, Monday at 669 and Friday at 624. 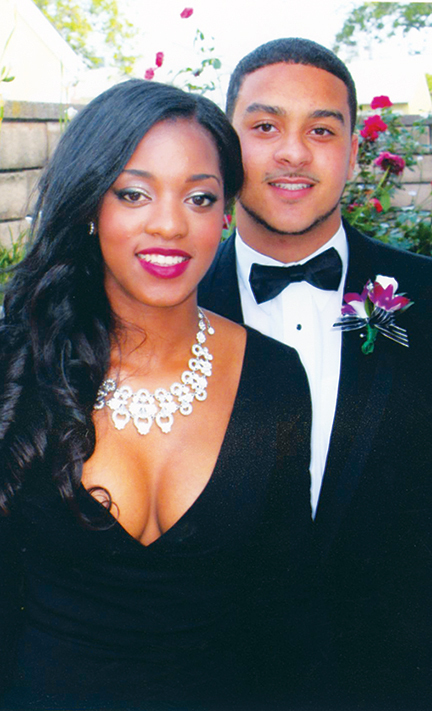 The suspect or suspects responsible for the murder of Bijan Michael Shoushtari is still at large as we went to print. The family is praying that he or she will be brought to justice. Anyone with information is asked to call the LAPD criminal gang homicide division at (213) 485-1383. Those who wish to remain anonymous can call Crime Stoppers at (800) 222-8477.